How do I email this form, so my boss can review it? 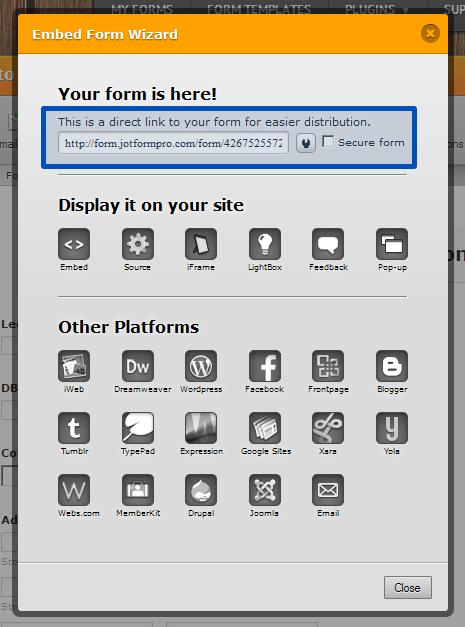 You can email the jotform by grabbing the link and sending it over your email or by using our email option. 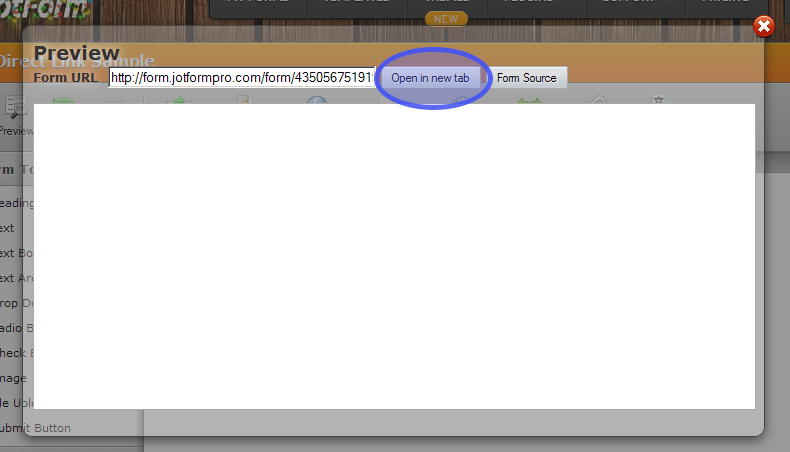 If you prefer you can also click on the Open in new tab and copy the link from the browsers URL bar. 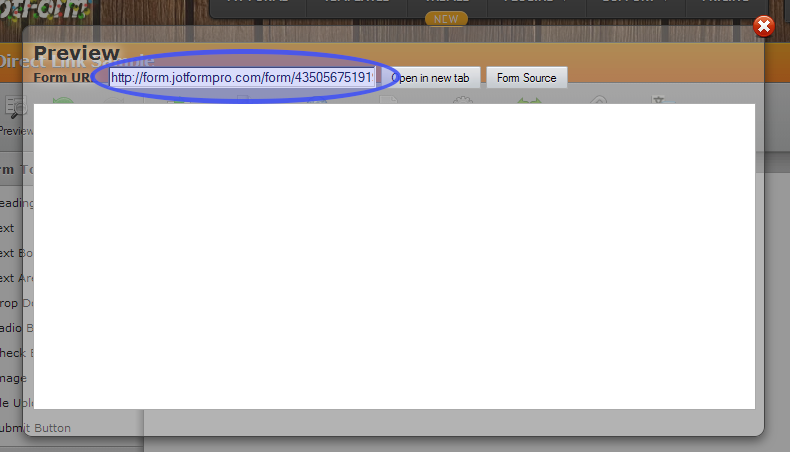 When a new window opens, just copy the link from the textbox under the Your form is here. When a new window opens, just take a look at the bottom and you should see Email as an embed option. Clicking on it will allow you to send an email from within our system, to your boss, with the proper link already included for you.